The Dayton Holiday Festival, presented by DP&L, is your source for family-friendly holiday fun in downtown Dayton. 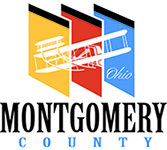 Started by Mrs. Virginia Kettering in 1972 so that all children could enjoy the holiday season regardless of their economic means, the festival continues today with free attractions for the community. Each year, the festival kicks off Thanksgiving weekend with the Grande Illumination and the Dayton Children’s Parade. The fun continues throughout the month of December with activities like the Tike’s Shoppe, a family movie series at The Neon, pizza with Santa, and more! Mark your calendar to kick off the Dayton Holiday Festival on Friday, November 29, 2019! 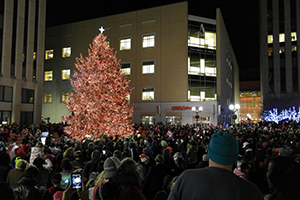 Watch the holidays light up during Dayton’s traditional tree lighting on Courthouse Square, followed immediately by a nighttime parade for children, sparkling with more than 100,000 lights! Enjoy decorative seasonal floats, horses, drill teams and bands, and some special holiday treats. For a fun and special added touch, grab a pair of free “magic glasses” on Courthouse Square before watching the tree lighting and parade to see the holiday lights in a whole new way! Enjoy holiday songs and other live entertainment on the Courthouse Square Main Stage leading up to the lighting ceremony. Meet our North Pole ambassadors! 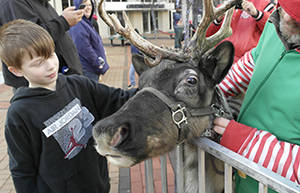 Two of Santa’s reindeer will be available to meet on Courthouse Square. Don’t miss your chance to take your picture on Santa’s sleigh! View all of the delicious contest entries and the award-winning houses on display inside The Old Courthouse on November 29. Blinking lights and whirring sounds are just a small part of the wonder you’ll find at the Street Fair on Third Street. Enjoy free carnival rides for kids throughout the evening! Enjoy a wagon ride through downtown! Visit a magical fantasy village inside the Kettering Tower, featuring free crafts, games, live holiday music, and lots of other surprises for kids. Kids will go on an adventure around the festival footprint. Children who visit all of the stops will receive a free book. A special shop run by kids for kids – and priced within a kid’s budget! Also, visit Santa during special hours. Located in the Schuster Center Wintergarden. Come see one of the area’s longest-running holiday traditions — the magical Rike’s department store holiday window displays! Experience the wonder of the animated elves, woodland animals, violinists and skaters right at the corner of Second and Main streets in downtown Dayton, where these displays delighted people beginning more than 70 years ago. Have a special lunch with Santa and then visit the Tike’s Shoppe at the Schuster Center! Reservations required. Bring the family to The Neon for fun, festive holiday films. Free admission for kids 12 and under, $2 for adults. For a fun and festive way to get around downtown, hop on the free Sugarplum Shuttle! 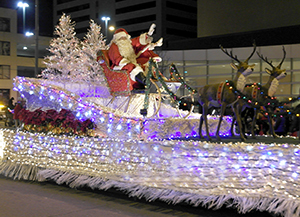 Downtown pedal wagons will deck their hauls with holiday music, lights, and more, and run routes through downtown. Downtown’s buildings ring with the sound of music during the holiday season. Groups from throughout the Miami Valley perform a mix of holiday selections during the Dayton Holiday Festival’s Noontime Entertainment Program. Starting at 12 noon, performing groups will present their holiday selections as lunchtime entertainment in selected building lobbies. Take a break from your chaotic schedule to get in the holiday spirit and enjoy the carols and instrumental sounds. Each musical group has a unique way to bring in the holiday season and entertain you with an upbeat performance you’re sure to love. This annual contest shows off the creativity of downtown Dayton’s collection of small businesses. Enjoy shopping, dining, and exploring downtown Dayton in this fun and festive atmosphere! More information about the 2019 Dayton Holiday Festival will be posted later this year. In the meantime, if you have questions about the Dayton Holiday Festival, email Emilee Valken, or call her at (937) 224-1518 ext. 227.